Traumatic brain injuries (TBI) can occur during a car accident, a fall, or a collision with another person (such as while playing sports). The injury can result from a blow to the head, from whiplash, or even from shaking. The severity of the TBI is unique to the person who suffers it and varies depending on the force of impact and the part of the body that was hit. TBIs are typically categorized as severe, moderate, or mild. While there are symptoms and responses that are typical to these injury classifications, every person with a head injury will react differently. Because each brain is unique, TBIs can be difficult to diagnose. But diagnosis of a brain injury is critical, as repeated head injuries can lead to second impact syndrome, a fatal head injury. Concussions. Concussions can occur in both open- and closed-head injuries. The most common type of brain injury, a concussion can develop from an impact to the head or a sudden change in movement. The jolt of a car accident, for example, can easily cause a concussion. If there is an absence of swelling, bleeding, or open wounds, or if symptoms are not evident immediately, a concussion can easily be overlooked or misdiagnosed, which delays treatment. Healing from a concussion can take weeks, months, or even years. Penetrating Injuries. A penetrating traumatic brain injury occurs when bone, skin, hair, or fragments of any kind penetrate the skull and are forced into the brain. This serious, life-threatening injury can rupture brain tissue and requires immediately medical care. Gunshot wounds are the most common cause of death by this type of TBI, but similar injuries occur in auto accidents or from being struck on the head by an object. Diffuse Axonal. A diffuse axonal traumatic brain injury occurs when the brain is rapidly shifted inside the skull. The quick acceleration and deceleration of the brain results in the tearing of connective fibers and nerve tissue in the brain. The diagnosis of a diffuse axonal injury can offer proof of shaken baby syndrome. This TBI can also occur in auto accidents. Severe shaking or rotation can lead to brain damage, coma, and death. 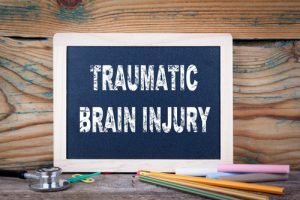 Do You Need a Traumatic Brain Injury Attorney? The brain injuries noted here are not a comprehensive list of TBIs. Any number of traumatic brain injuries can occur, depending on the cause of the injury and the victim’s reaction to it. If you believe that you suffered a TBI at the negligence of another person, or that your brain injury was misdiagnosed, contact an experienced traumatic brain injury attorney at Thurswell Law for a free consultation. There are no fees unless you collect. Contact us at (248) 354-2222.